The Restaurants Association of Ireland said that the restrictions are causing a loss to the restaurant industry of €400,000 per day. THE RESTAURANTS ASSOCIATION of Ireland is asking local authorities to pay compensation for disruption caused to restaurants by the current water restrictions. The RAI has said tonight that it wants the local authorities in Dublin to offer some form of compensation to restaurants that have seen business suffer because of the water restrictions in Dublin. It was announced today that the restrictions will continue until at least Thursday. Earlier this week, the RAI had called for the restrictions to be implemented at a later time of 9.30pm/10pm, rather than 7pm, to allow restaurants in the evening trade to have a chance to deal with the shortages. In order to run a restaurant you need water – to cook food, to clean and provide to your customers. It is simple logic. Yet our words of warning have fallen on deaf ears every time this issue has arisen and unfortunately the logical approach from the restaurant industry is constantly being ignored by Local Government. He described the restrictions as “a ridiculous and unfair imposition on these struggling businesses”, adding that Irish restaurateurs “pay the highest rates and water charges in Europe”. Cummins said that the busiest time in the restaurant industry is at weekends. “Many of our café members are finding that they can’t even make a simple cup of coffee in the morning due to the lack of water,” he said. Cummins said that he believes restaurants aren’t getting an adequate service for the price they are paying for water. “Local Authorities either need to reduce the current water charges and rates imposed on businesses or make drastic improvements to the quality of the current services provided,” he suggested. Earlier this evening, Dublin City Council issued a statement on the restrictions, apologising for the disruption. People living in Dublin and in parts of Kildare and Wicklow will experience lower water pressures and a loss of supply of water in their homes. 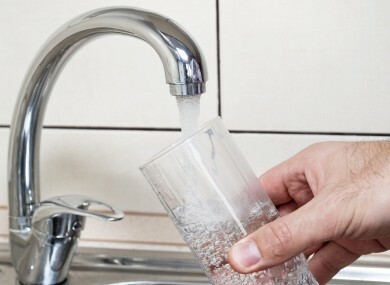 Email “Authorities 'should offer compensation to restaurants' over water restrictions”. Feedback on “Authorities 'should offer compensation to restaurants' over water restrictions”.